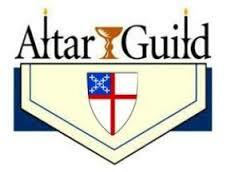 The Altar Guild is a parish group organized for the purpose of preparing the altar for worship at the eucharist, weddings, funerals and other ceremonies. It consists of four teams that each commit to work one week per month. They set up for each service and make sure the altar vessels are cleaned and maintained. "We are a fun group and are always looking for new members because many hands make light work. If you would like to join our team and commit to one Saturday and Sunday morning a month please contact us."